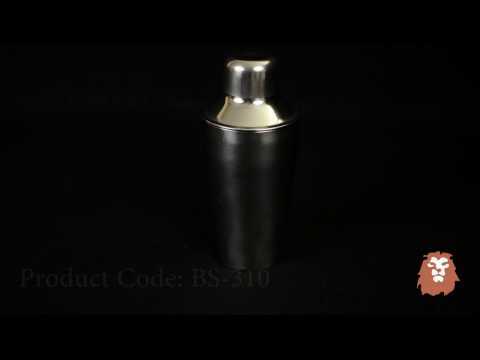 Use the Winco BS-310 3-Piece Stainless Steel 10 oz. Bar Shaker Set in your restaurant or hotel bar to prepare all kinds mixed drinks. With its lid, strainer and cup, this set has everything you need to make a great cocktail. Made of stainless steel, this bar shaker set will keep beverages chilled until served and it is strong enough to handle the rigors of heavy commercial use. In addition, its cover offers a tight seal to prevent leaks while its strainer filters out ice and small particles from your cocktail. Product is excellent for the price. Can get a lot of finger prints but it's less than $3, what do you expect!!! Otherwise highly recommend. Shipping took longer than I expected but can't ding the product cause of that. Great item for the price! Ordered them for a company event as a giveaway and they went over well. Given as party gifts at our Martini Bar Party. Guest loved them. Works very well for a single drink, overall very nice.